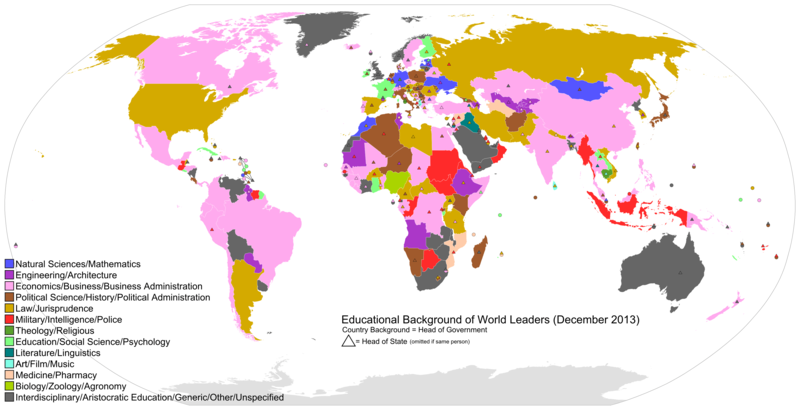 This amazing map takes a look at what the world leaders and heads of state studied for the highest degree they’ve earned. The solid color indicates the education of the head of the government, and a triangle, the official head of state. If you ever dream of leading your country, you have the best chance of getting there with a major or advanced degree in economics, law, or politics.